We don’t do any printing; we just create the marketplace where 3D files thrive. Our goal is to make it easy and fast to buy or sell 3D files. We are committed to a fair marketplace where good quality has an opportunity to succeed. 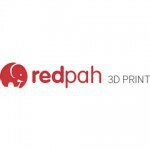 Redpah is committed to taking action against piracy. Sellers are required to take an oath of file originality. Any legal accusations made against a seller’s files must be defended by the seller. If a seller cannot defend his or her originality, we will remove the files from the marketplace.